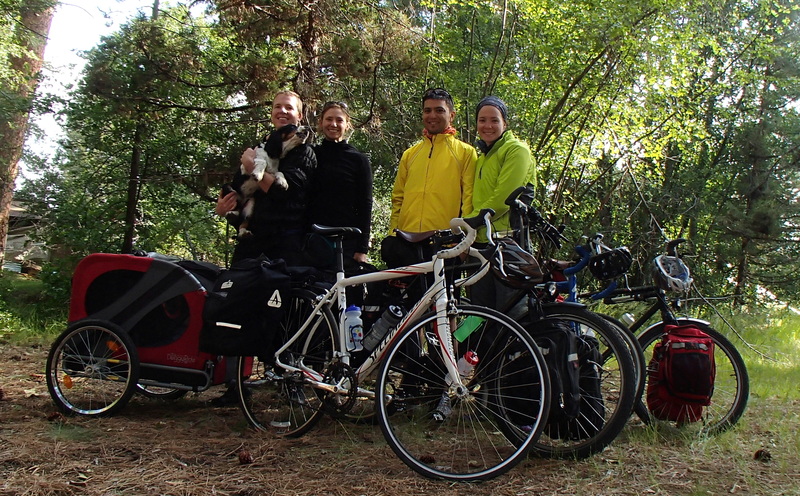 ← 2 Bikes, 8 Panniers, a trailer….and a Puppy? 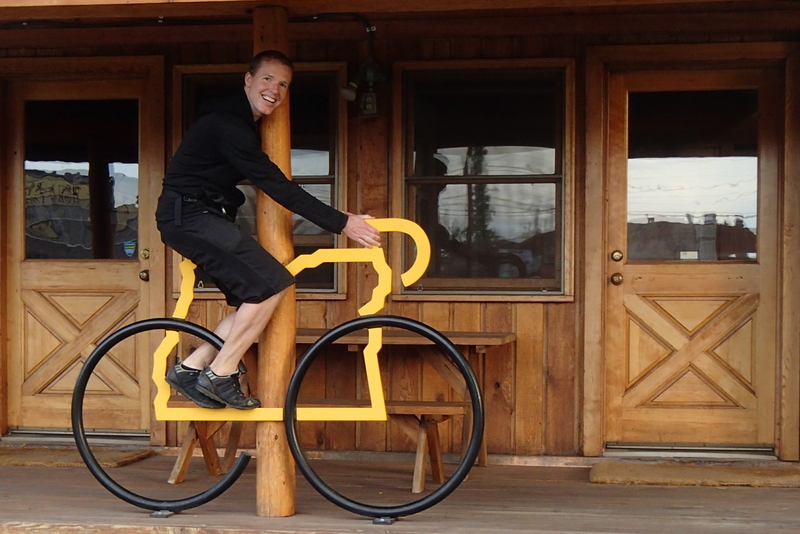 A cyclist’s dream, the state of Oregon exudes bike friendliness. Portland, it’s most populous city, is a multitude of bike pathways and bike lanes and rates consistently in the top 5 cities in the country for most bikeable city; there are numerous websites promoting bicycle advocacy in Oregon (thepathlesspedaled, rideoregonride, traveloregon, cyclingsojourner) and there are 12 designated Scenic Bikeways dotted throughout the state. One sunny weekend this past June we did one of them: Sisters to Smith Rock. 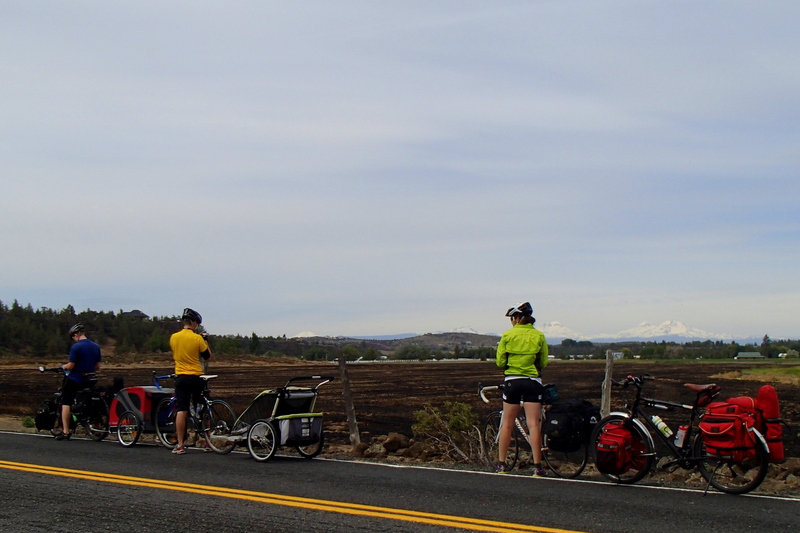 The 12 Oregon Scenic bikeways are rated mild to extreme. Sisters to Smith Rock sits right in the middle at moderate, perfect for this overnight trip as it would be the first overnighter for Bodhi (see 8 Wheels, 2 Panniers and a Puppy) and our two good friends, Eric and Emily, joined us for the ride. 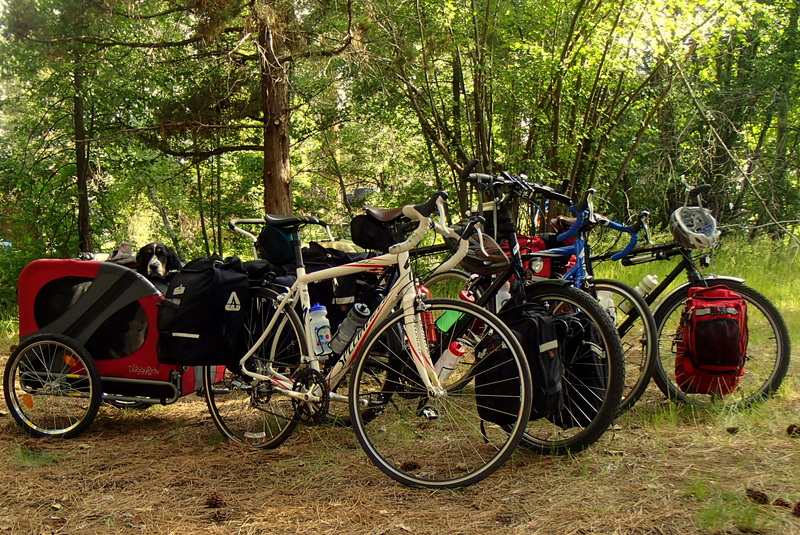 Avid cyclists but not quite fully set up with all the touring gear (yet!) they decided to rent a trailer for most of their load. Due to the inaccessibility of renting bike touring trailers (bobs, Burleys) in our smaller neck of the woods they resourcefully used a Chariot children’s trailer which in the end allowed them to stuff in all sorts of goodies for the trip. 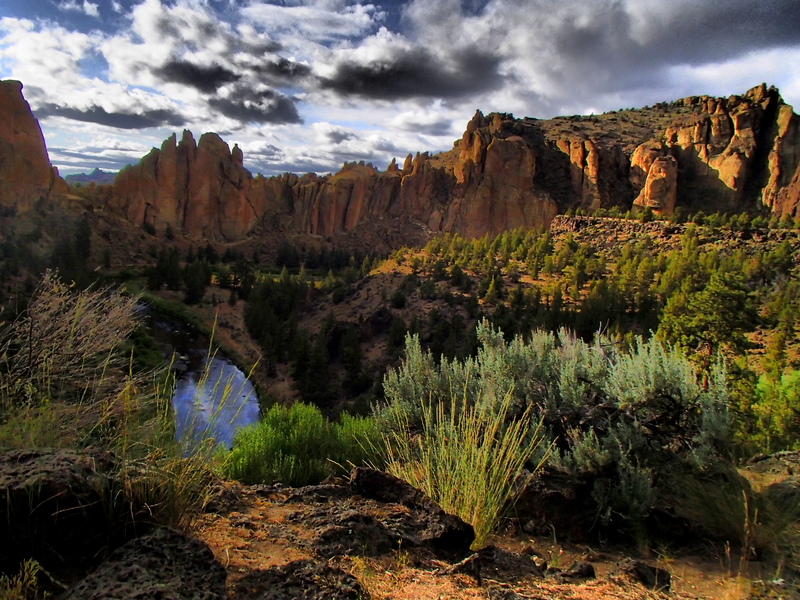 We started our out and back trip at Smith Rock State Park; a small park of towering flat faced red cliffs nestled next to the little town of Terrebonne about 26 miles north of Bend. The park is a rock climber’s paradise and this weekend in June the place was a buzz of activity-games of hackysack being played in the common eating area, climbers swapping beta around tents in the communal campground and groups along the pathways scoping out lines for the next day’s climb. The 37 mile route is exclusively on secondary highways and smaller roads. Leaving the park the car traffic was slightly heavy early on as we made our way through the town of Terrebonne and out into the rolling hills. Soon, though, the traffic lightened up , the forests of pine trees thickened and we were treated to views of the Cascade mountains, almost the entire way to Sisters. Oregon Scenic Bikeway signs routing us the entire way! Mountain views all day long. A friendly local along the rural road to Sisters. 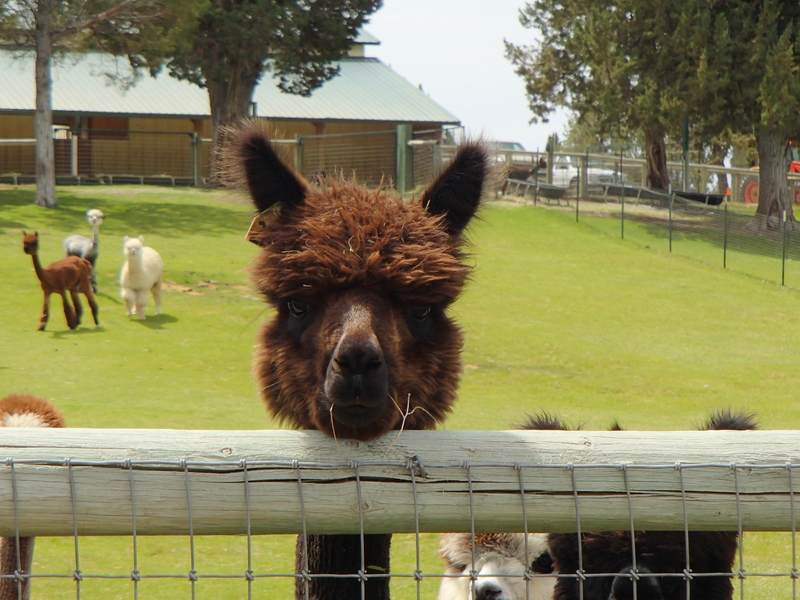 Sisters, OR, with a population of a little over 2000, is a quaint town that celebrates its Old West history. When we arrived in the late afternoon the Sisters annual rodeo was in full swing and the town campground was packed-they do have a nice grassy area just for bikers! Hungry and famished we enjoyed cappuccinos from Sisters Coffee Company, delicious BBQ smothered fries from a food truck and took home little growlers full of local craft beer. The next morning we set off to retrace our trail back to Smith Rocks. The day was once again sunny, our pup had been content in his trailer for his first overnighter and our friends loved the touring-despite the heavy loads! 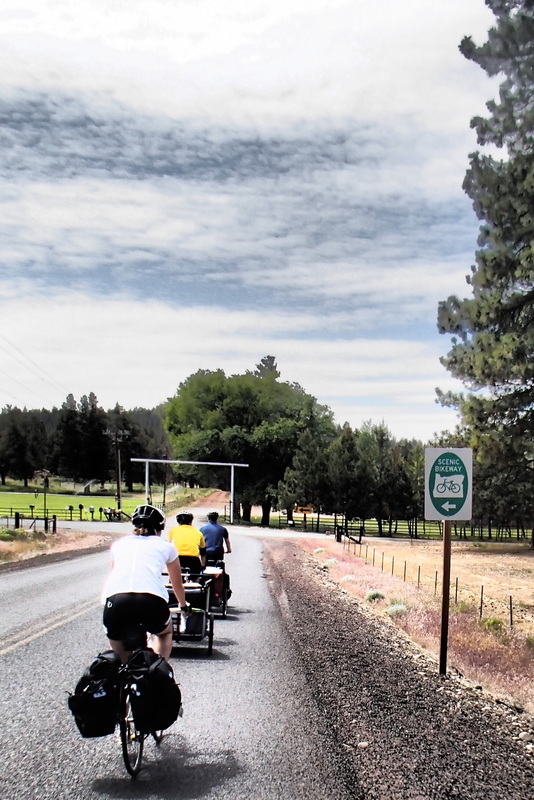 The Oregon Scenic Bikeways are a great resource for cyclists; the roads are well-marked, the maps and point by point directions thoroughly detailed and the 12 Bikeways extend throughout the state…so you can stretch your cycle touring legs long into the winter season! 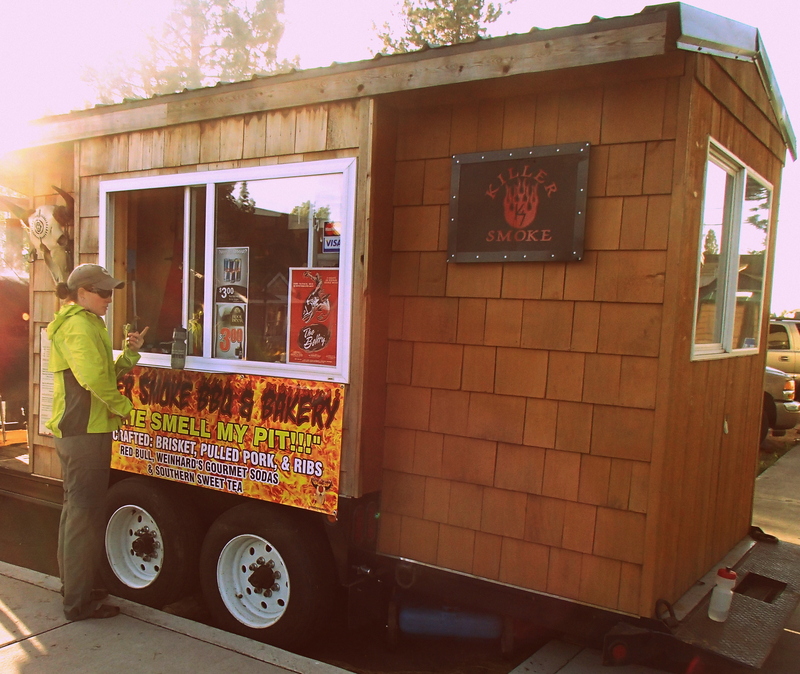 Almost no places to get food outside of Terrebonne or Sisters-stock up! 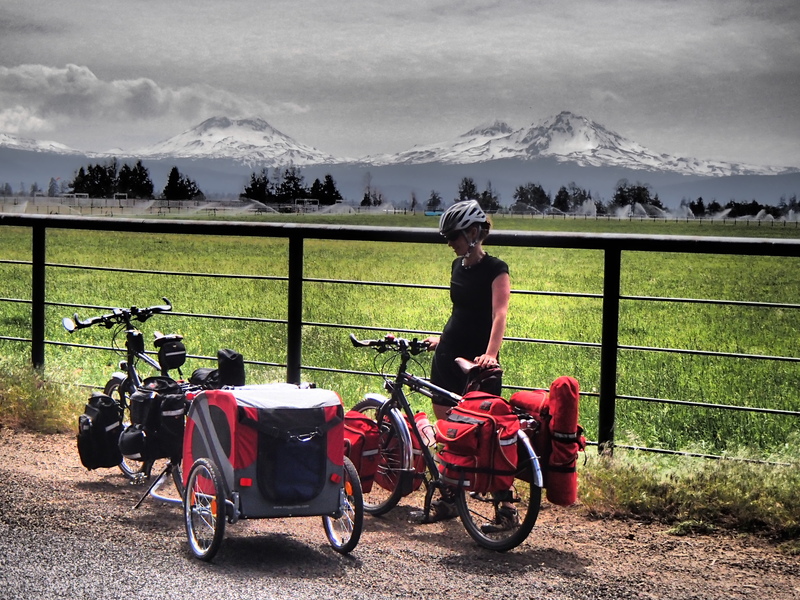 This entry was posted in Bike-touring, Travel and tagged bike touring with dogs, Biketouring, Oregon, Oregon Scenic Bikeways. Bookmark the permalink. Thank you, so happy for Eric and Emily too! The bodster is doing so well!